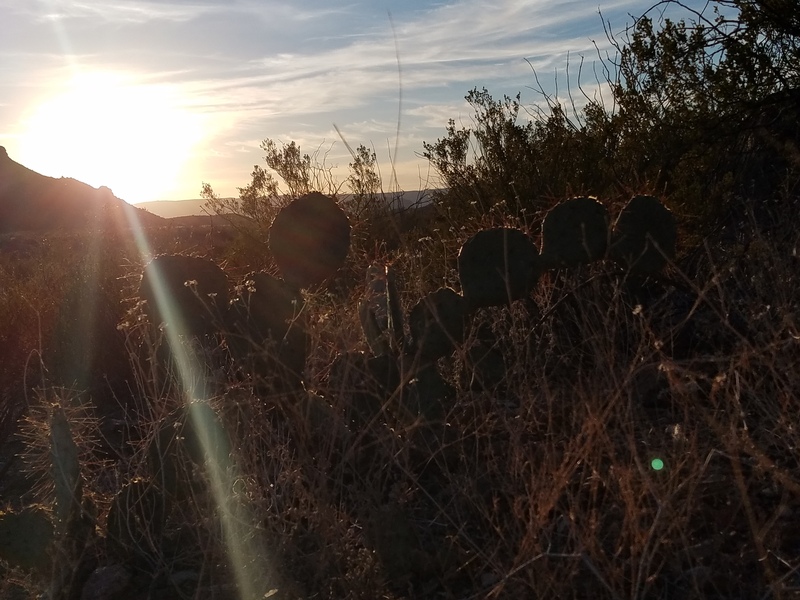 In Big Bend, you’ll find wildlife crossing the land, birds and bats flying high above, constellation critters dotting the night sky, and fossil creatures buried deep below! In this seemingly barren landscape, signs of critter life may be hard to spot at first, but animals are surprisingly abundant. Here are some of Big Bend’s unique critters! River Road winds through green banks along the Rio Grande. The flanks of surrounding mountainsides seem barren, but stick around, listen and watch, and Big Bend wildlife will reveal itself. An evening spent quietly taking in the sunset offers a great opportunity to see critters on the move. Spring, summer, and fall are flush with feathery song makers, adding a symphonic accompaniment to sunset’s falling skies. Over 400 species of bird have been documented in the region. Take special care to note unique colors, sizes, and songs, because there is quite a variety. The gradual hush of birdsong sets with dusk, morphing into the desert’s second musical act: insect chirping. Bands of quonker katydids, endemic to the Big Bend region; and flightless lubber grasshoppers, gear up for an evening of merrymaking. Sunset is great for watching wildlife. During the summer monsoon season, slumbering frogs and toads spring to life, so don’t be surprised if you hear their distinctive bawling after a rain shower. 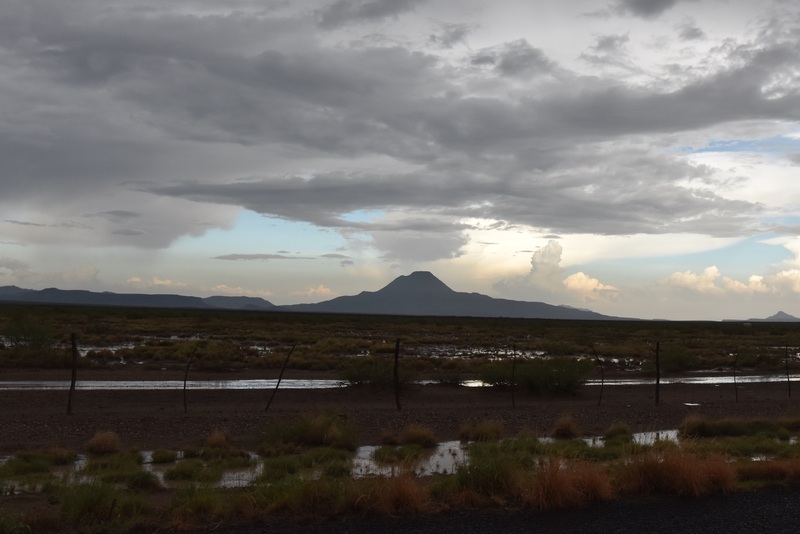 Big Bend’s brief rainy season springs the desert to life, and toad songs often follow rains. In warm months, the occasional Mexican freetail bat will bounce and loop on sonar frequencies, taking advantage of dusk’s insect happy hour. 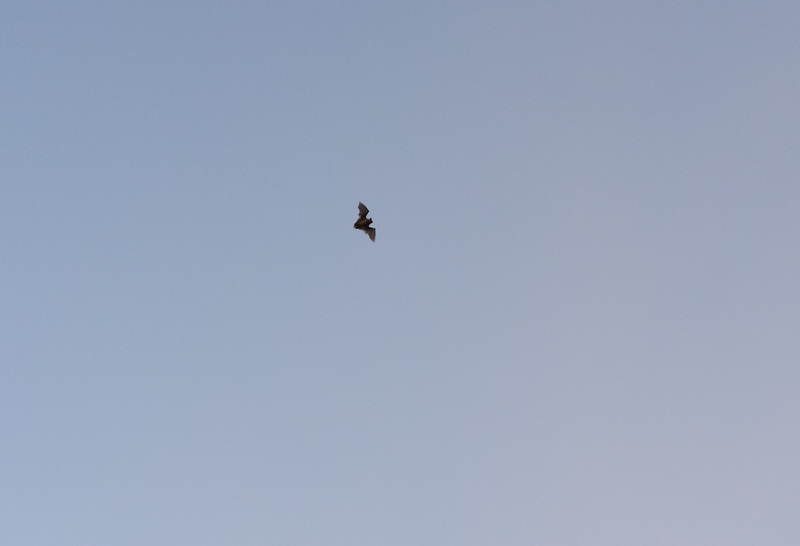 Mexican freetail bats love the Big Bend during warmer months. Big Bend’s larger animals also get moving around dusk, including the collared peccary, or javelina. 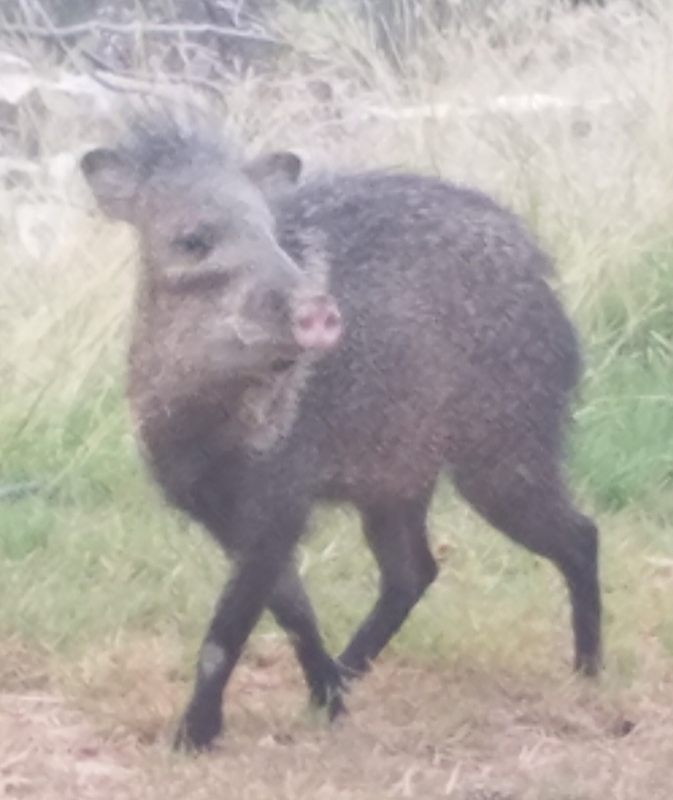 This scruffy little fellow is sometimes mistaken for a pig, but the javelina is much smaller than the wild hog and a little nicer! Their long sharp canine teeth resemble tusks, and they have a pig-like snout, but rest assured, javelinas are their own thing; and they might be downright offended by the mere suggestion of a pig- or rat-like resemblance, although they have been likened to both. Javelinas are among the most unique wildlife to call Big Bend home. Javis, as they are affectionately called, move with delicate steps, picking across the scrubland with deliberate movements. They mostly eat desert veggies, including prickly pear pads, yucca roots, tubers, and mesquite beans, but have been known to eat lizards or forage carrion. Their narrow faces and mohawk haircuts give these little fellas a tough posture, but they are not an aggressive species. However, common sense must be practiced when observing all wildlife: leave a wide berth; give animals the space they need to do their thing; never approach wild animals; and of course, never feed them. 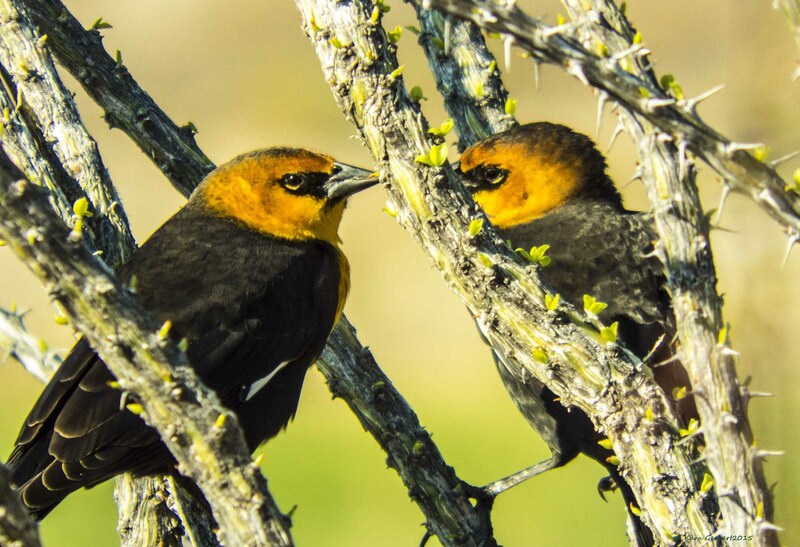 We’ve all heard the saying, “Everything’s bigger in Texas.” Well, if that’s true, everything bigger is even BIGGER in Far West Texas and the Big Bend — at least when it comes to some of the wildlife, that is! Take the deer, for example. 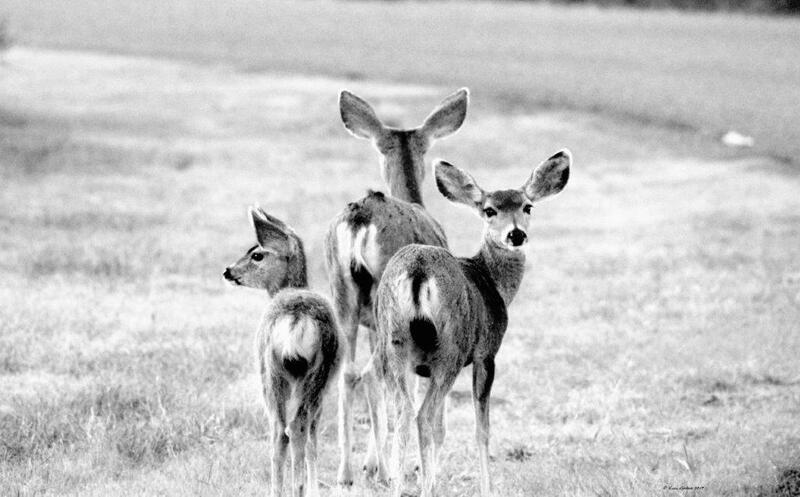 West Texas boasts some of the state’s largest deer – called mule deer. Mule deer are typically bigger on an age-class-to-age-class basis than white-tail deer. West Texas mule deer have distinctively large ears, which help the animals cool off through a process called vasodilation, through which blood vessels release heat. Other Big Bend mammals have desert-adapted large ears, too, like jackrabbits and foxes, so be sure to watch for sightings. Mule deer have large ears, adapted to help release heat. Photo by Kara Gerbert. If you look up into the nighttime skies, you’ll find even more than these land critters. 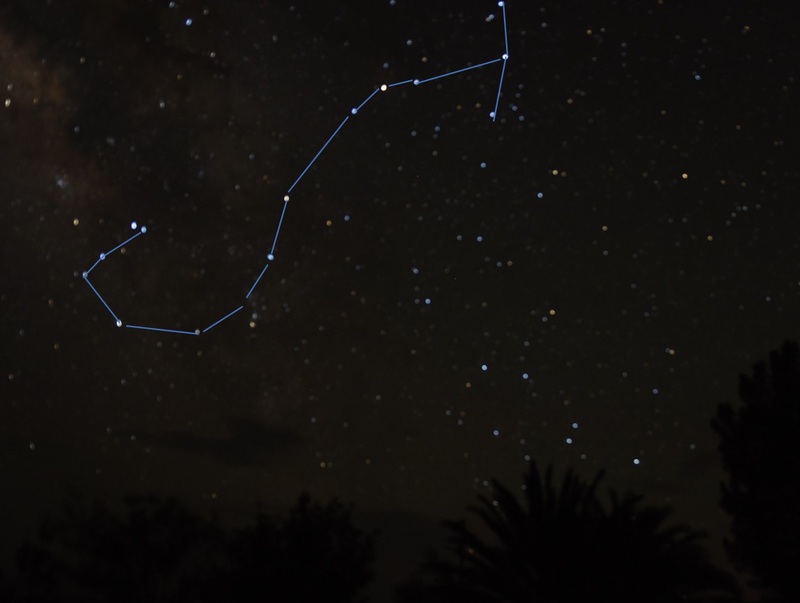 Big Bend night skies feature a variety of animal constellations that will sweep you off your feet. Fantastic views of Scorpio, the southernmost zodiacal constellation, can be seen during summer months. Latin for scorpion, this constellation’s scorpion tail and claws make it easy to spot. Be sure to bring a constellation guide to find all the constellations in view. And yes, you may bump into a land scorpion from time to time, although they are rarely seen. Bring a tripod and you may have better luck capturing constellations than this amateur photographer had! Scorpio is outlined, but many familiar patterns can be seen. What about animals deep below? Big Bend is a paleontologist’s dream, with a fossil record spanning 130-million-years! 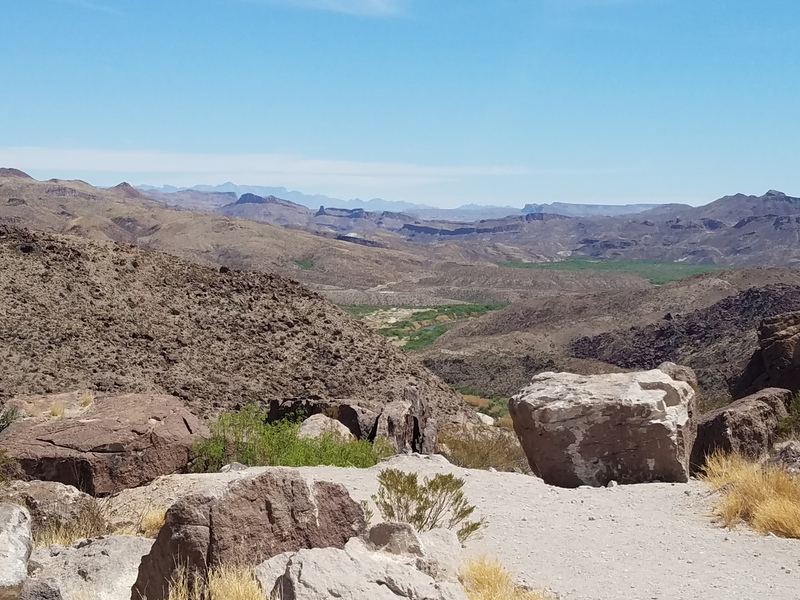 Big Bend National Park’s fossil exhibit shows how wildlife has changed through millions of years, from the days of warm shallow seas to the days of giant, land roving dinosaurs! 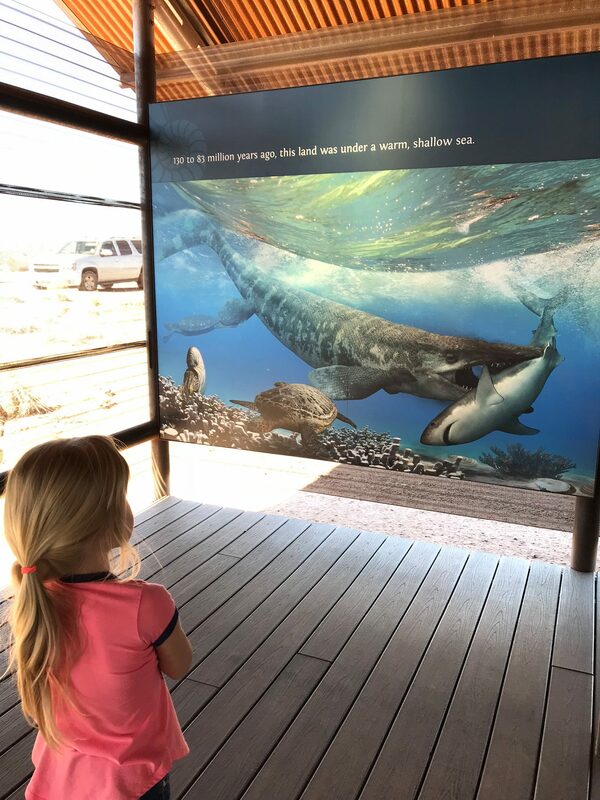 When you are ready to take a break from all this critter watching, visit Big Bend National Park’s world-class fossil exhibit to see how the wildlife has changed over time. 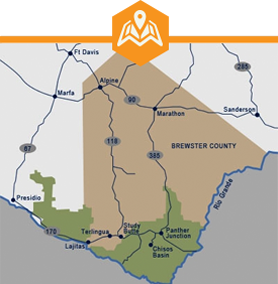 Enjoy Big Bend wildlife on your next visit!